Millersburg City Hall, where the public can inspect paperwork on the public power proposal. Millersburg has made itself the latest battleground in the age-old Oregon fight over public power. 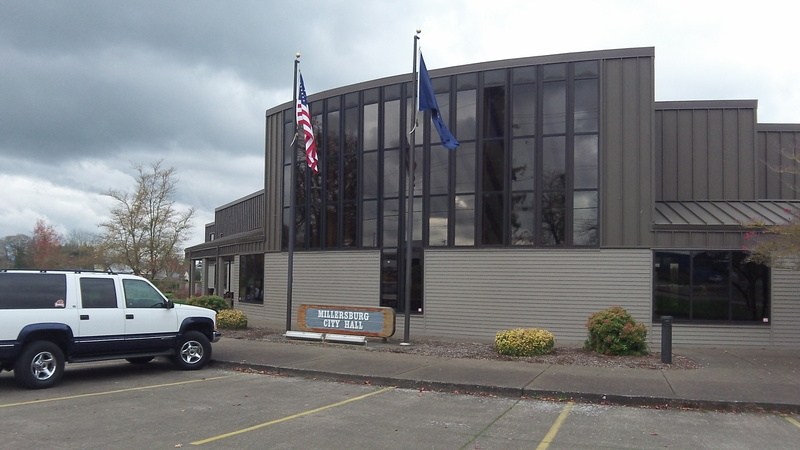 After laying the groundwork in several closed executive sessions, the city council in October formed, only on paper so far, its own city energy department and authorized further study of taking over the electric utility grid within the community of 1,340 from Pacific Power. Money is the motivating force. Consultants have told the council that electric ratepayers within the town could save $30 million over the first 10 years of a city-owned electricity department. Residential customers would save an estimated $4.6 million over that period, leaving the bulk of the presumed benefit — some $25 million — to commercial and industrial users. By far the biggest of the industrial users is Wah Chang, which needs copious amounts of electricity in making zirconium and other metals. Wah Chang is paying for the costs of studying the formation of the city utility but will be reimbursed if the utility is actually formed. The decision is some time off, but the consultants’ projections have the city operation start in 2017. 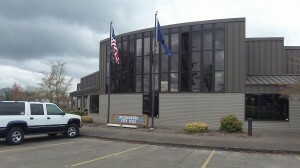 Pacific Power has served notice that it will fight losing its Millersburg customers, but state law gives the council the right to take the system by eminent domain, with a jury deciding how much it should pay. The proposal hinges on, among other things, Millersburg being able to secure a contract to buy low-cost hydropower as a preference customer of Bonneville Power Administration. If the city goes ahead and succeeds with this plan, it could replace the 5 percent electric franchise fee that now supports its general fund with a similar charge at 6 percent and still save customers buckets of money, according to the consultants’ report. Millersburg would not be the first or only Oregon city to run its own electric distribution system. Among the others is Ashland, which has done so for nearly a century and uses its electric department to finance city government with a franchise-fee equivalent that now is 36 percent of the bill.